Voting in this year’s Associated Students elections began on Monday and will continue until Wednesday. with voting booths set up in the Seawolf Plaza. Last week, as the campaigning reached the home stretch, students filled almost every seat of Ballroom B in the Student Center to see potential Associated Students presidents, Kate Chavez and Emily Hinton, discuss their platforms, beliefs and reasons why they deserve to be at the highest level of student representation at Sonoma State University. A point of disagreement between the two candidates in the debate, concerned the upcoming faculty strike. Noting that 60 percent of faculty are part-time lecturers and only 20 percent of the school budget goes towards instruction, Hinton explained a faculty strike is appropriate based on how small the school budget has allocated for instruction. In a change of pace, Chavez explained her disagreement with Hinton’s stance. During their opening statements, Chavez and Hinton appeared eager to share their backgrounds and how they will help them if elected. Hinton, a second year philosophy student with a concentration in pre-law and applied ethics, said she wants to attend law school and believes this a necessary step. The focus of her statement, as well as campaign, she said, was to close the gap between administration and students by returning Sonoma State to an institution of academia rather than a business corporation, which she believes the university currently is. 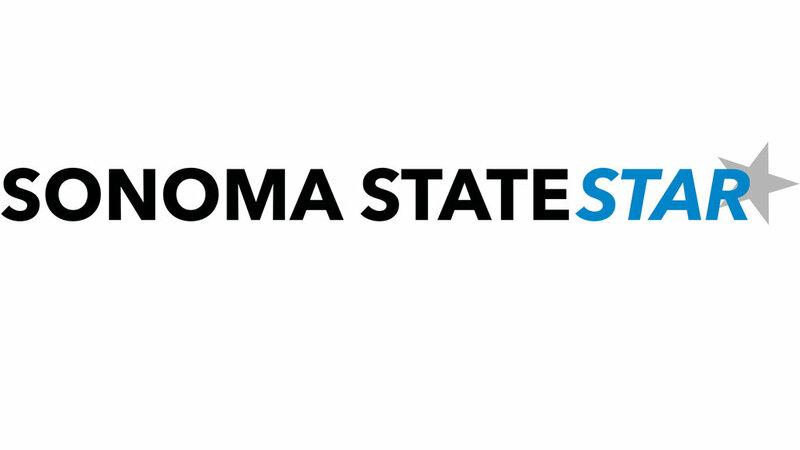 Sonoma State, as well as the three committees she is currently sitting on, including Academic Senate, all contributed to her opinion that she already understands about issues concerning Sonoma State. The candidates were asked to respond to matters dealing with student involvement with Associated Students and how they would represent the student body as a whole. Both candidates expressed their willingness to reach out to student-run organizations and how their passion for wanting to be the next president of Associated Students would help their efforts in connecting with student needs. Throughout the the debate, the amount of actual debating was somewhat absent as candidates agreed with almost every answer that was given by their opponent, only adding a few clarifying statements here and there. However, this theme was changed during the last question of the debate, which was asked by Mercer. He asked how the candidates would serve as an advocate for students about getting unbiased information involving the faculty strike. Both candidates are first-generation college students, have background in leadership roles and are passionate about heading the role of Associated Students. Vice President of Finance candidates, senior Ricky Albanese and sophomore Franchesca Galletti, also demonstrated to students their knowledge of money-related topics at Sonoma State. The two were asked questions involving, as the position implies, finances on campus, how students will be informed of where their money is going and how they’ll handle their new found responsibilities. When asked about obstacles that were overcame in her life that would help her if she were to get elected, Galletti opened up with share a personal story. After the closing statements of Albanese and Galletti, the executive vice president candidates were brought to the stage. Ana Tongilava, a sophomore math major, and Rachel McCloskey, a junior communications major, have both been part of AS during their time at Sonoma State. Keeping in theme of the debate, the two candidates were asked questions that mainly involved student outreach and the ways they would connect with students. “I want to be an advocate for students and not being afraid to say what the students want to be said,” said McCloskey in response to how she will be a medium between students and faculty. Voting in the election began Monday. students are encouraged to get out and vote between April 4 - 6 by electronic ballot, which will be emailed through students’ Sonoma State emails, or by voting booths in the Seawolf Plaza.